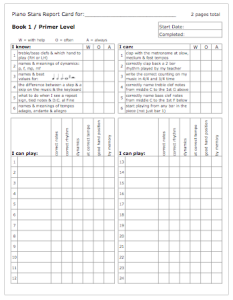 List your students pieces on this page. 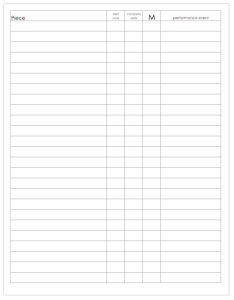 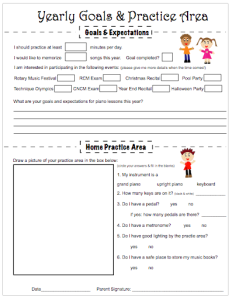 Fill in the start date, complete date, M for memorized & performance event. 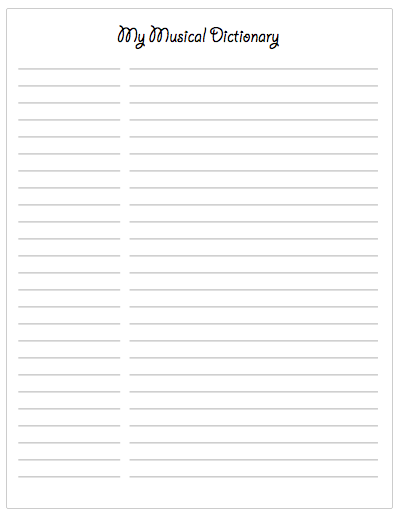 Use 1 page per 2 assigned pieces. 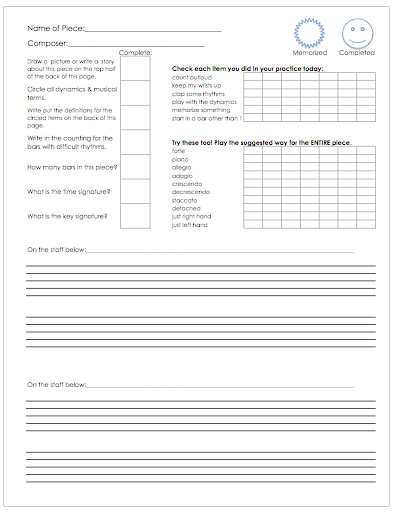 Students & teachers check the boxes as students complete the task. 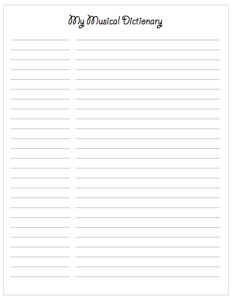 Use 1 page per assigned piece. 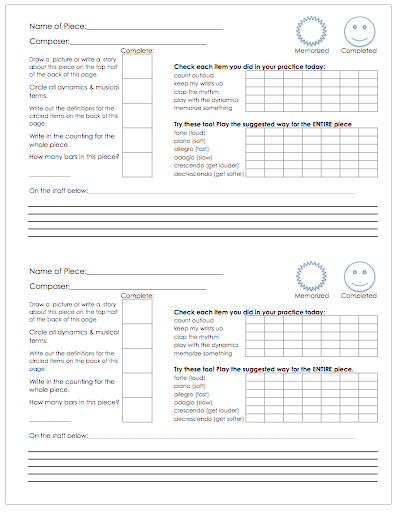 Students & teachers check the boxes as students complete the task. 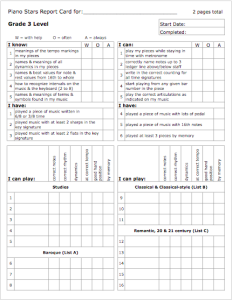 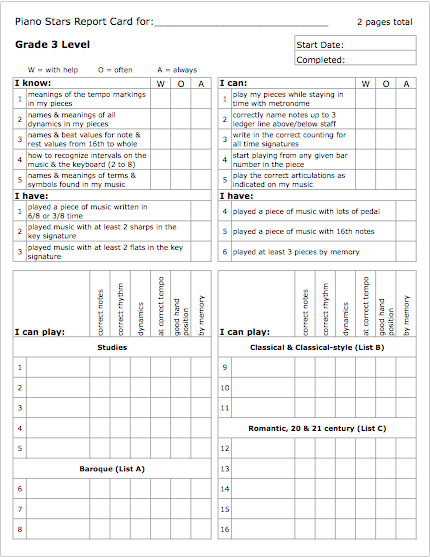 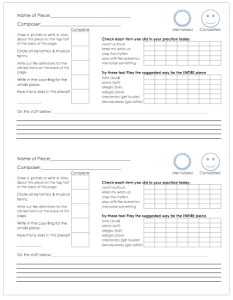 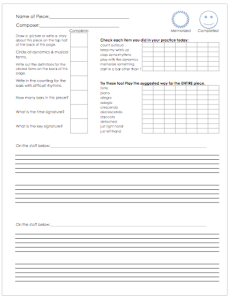 Get students to write musical terms & their definitions on to this sheet & keep it in their notebook for quick reference. 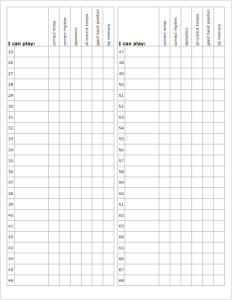 Use this at the beginning of the year to find out more about your students & their goals for the year. 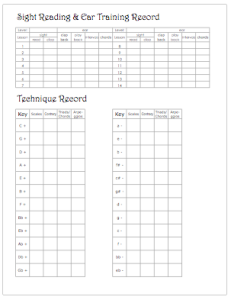 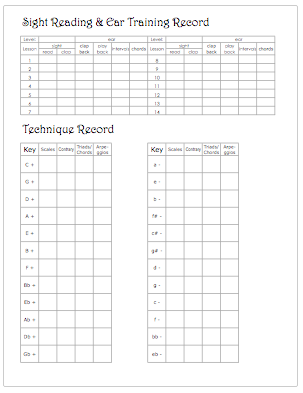 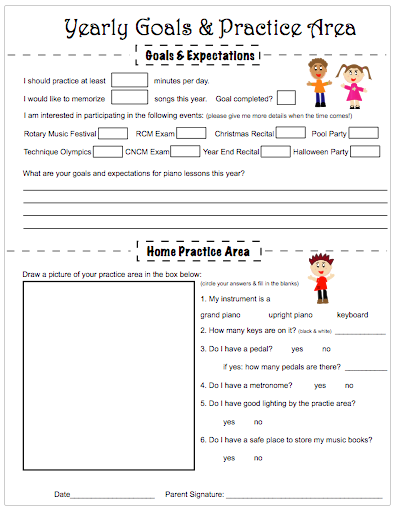 Use this chart to keep track of your students progress in sight reading, ear training & technique. 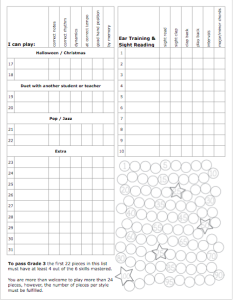 Notebook pages to keep track of students progress. There are 2 pages per level.